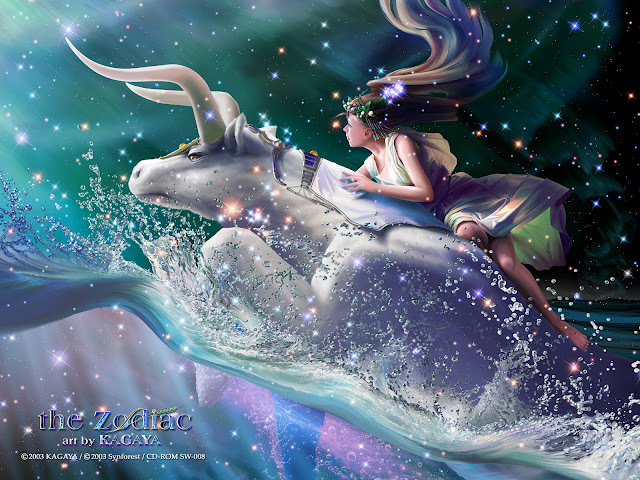 Taurus is stable, conservative, and practical and values the comfortable, unchanging way of life. Taurus is down-to-earth, and one of the most productive signs, always searching for the true value and meaning of life. Like a bull, the Taurus usually remains passive and content, but when angered, will attack. Fidelity and consistency are the signs virtues; obstinacy and refusal to change are its weaknesses. Moon in Taurus: This is the best time to work magick for love, real estate, material acquisitions and money. Healing rituals for ailments of the throat, neck and ears also done during this time.